Description Androi-DS is a fanmade version or Android I am making. This is not the final product and is nowhere near done. Expect many changes. I will add games, applications, and maybe a recovery mode later. It comes with the option to make a password. (Not required). Changelog: Alpha 0.0.4 Initial release Beta 0.5 Added boot animation Added licenses Added (working) recovery mode Fixed bugs Added app drawer icon Beta 0.6 Changed wallpaper Beta 0.7 Changed bootup slightly Added sleep mode from any screen A new music player Slight changes to recovery mode Added reboot icon in the app drawer Added help menu in settings>about androiDS Added local multiplayer chat Bug fixes Beta 0.8 Changes to the music player bug fixes Added clockz (if you own clockz, and want me to remove it, please tell me) 1.0 added more icons fixed music player bug fixes internal changes lockscreen animation Future plans: Add games Add more apps Change lots of icons Multitasking Wallpaper changer Local multiplayer chat Instructions The circle pad is not functional in this version. 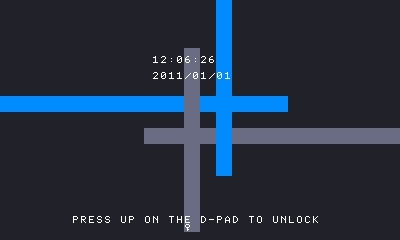 Use the d-pad to navigate, A to select. Any other instructions are in the program.